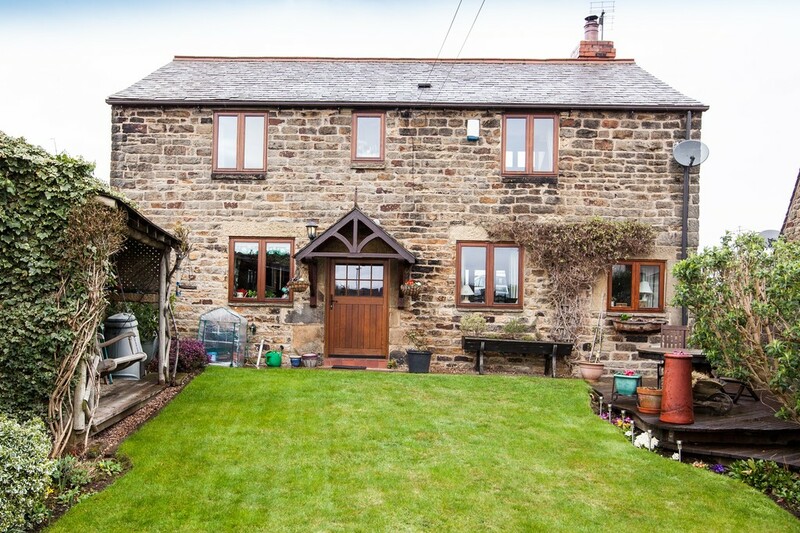 Andersons are proud to offer to the open market, with the benefit of no chain, this superbly appointed, stone built property located in the highly desirable rural location of Howbrook. 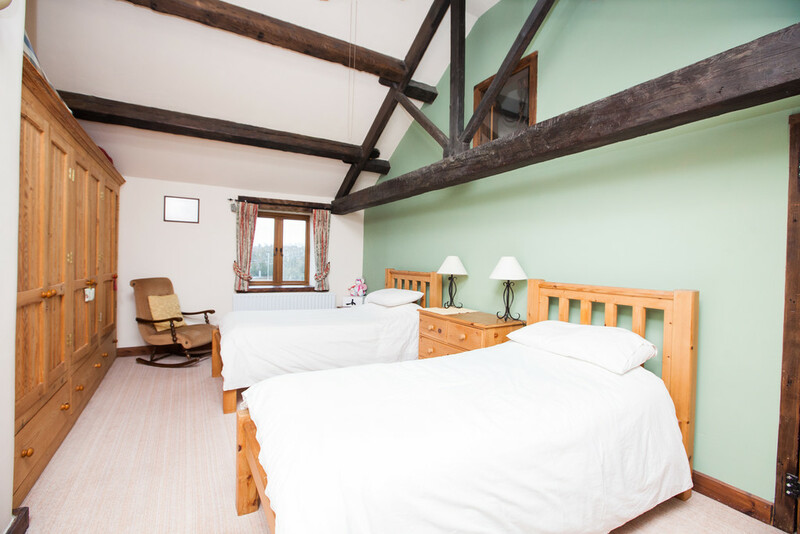 At first glance Hollinberry Lodge appears to be a quintessential English cottage, and whilst it is believed to date back around 300 years it probably began life as just a humble elevated barn. 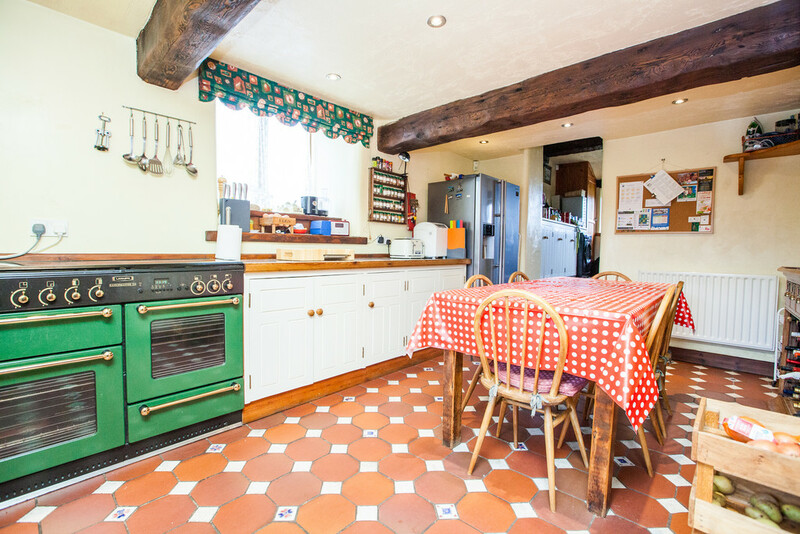 Offering generous living accommodation over two floors, including a fabulous 'Farmhouse' style kitchen and large open plan living/dining room with beautiful beamed ceiling and Inglenook fireplace. 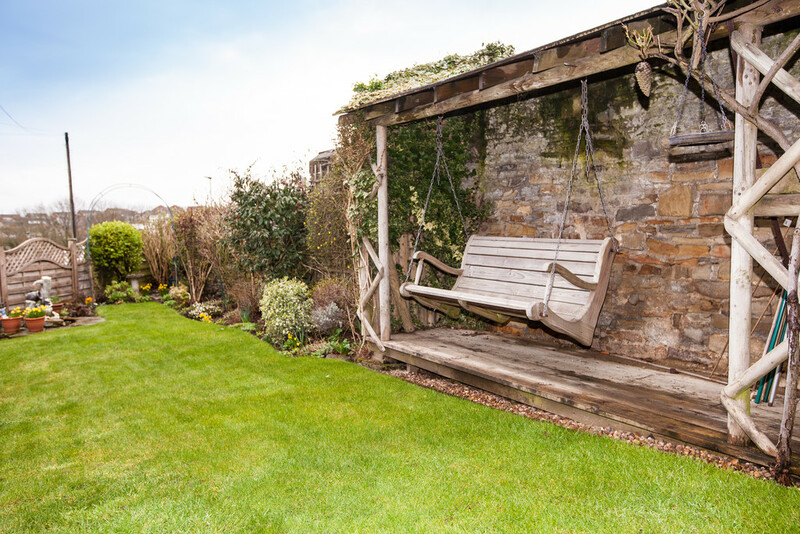 This lovely, three bedroom, detached dwelling offers all the features of a period property whilst benefiting from the conveniences we have all come to expect in our modern homes. 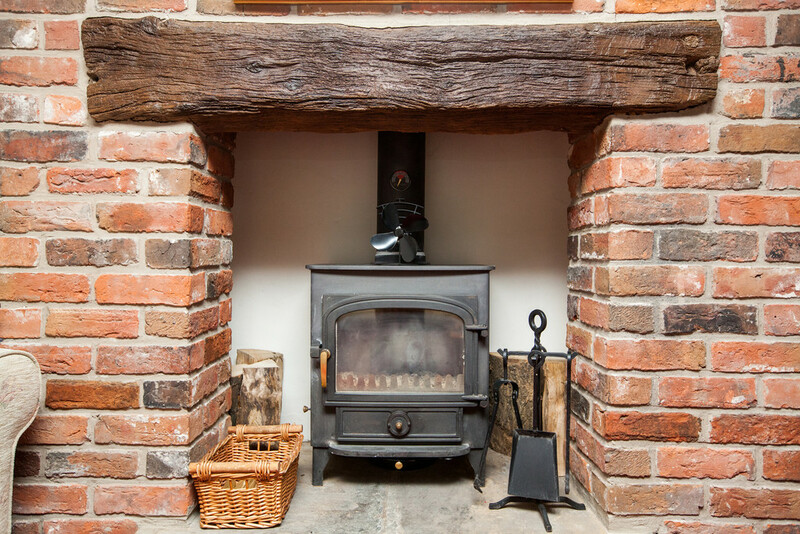 The property is extremely well presented and benefits from oak framed double glazed windows, gas fired central heating (boiler installed in August 2018), a stylish farmhouse style kitchen and a contemporary family bathroom; whilst still retaining many of its period features such as quarry tiled flooring, exposed timber trusses and purlins, an Inglenook fireplace and timber lintels. Hollinberry Lane leads off of the A61 and takes you into the lovely hamlet of Howbrook. 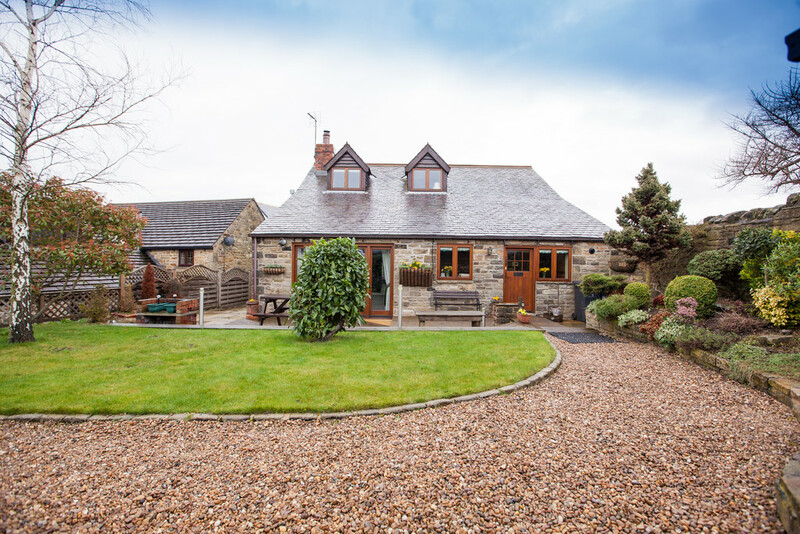 Hollinberry Lodge is situated on the right hand side of the lane, with just two other properties in the vicinity it provides a lovely rural setting with a couple of neighbours for company. 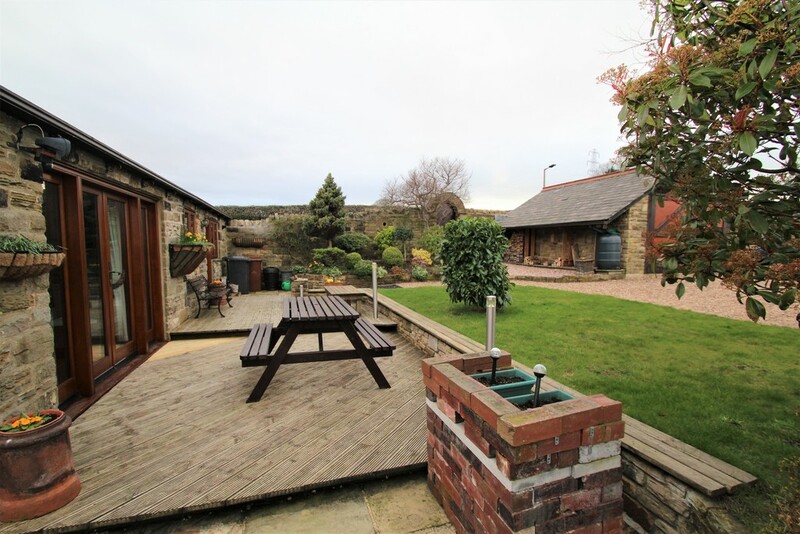 The property is well placed for access to the beautiful surrounding countryside with pretty walks available in all directions. 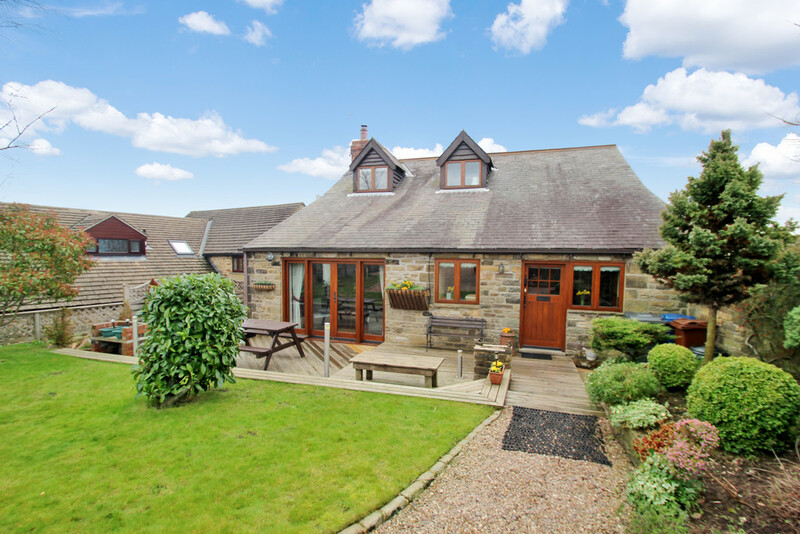 Despite its rural location the property is well situated for access to Sheffield, Rotherham and Barnsley all less than 9 miles distant and Leeds City Centre is only 28 miles away. 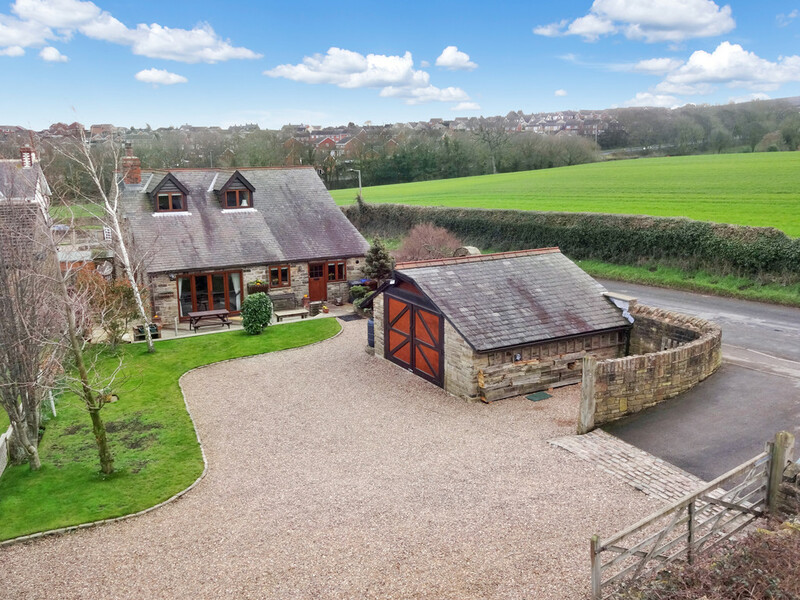 Its proximity to major road networks, with J36 and J35a of the M1 being less than 3 miles away opens all of South Yorkshire up for the daily commute as well as the Woodhead Pass providing access to the west. 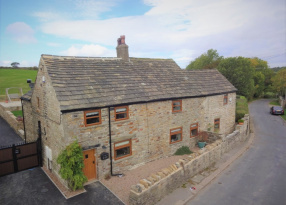 Howbrook is a quiet and sleepy Hamlet the nearest shops, supermarkets and other amenities being available in High Green, Chapletown and Stocksbridge. For retail therapy fans both the Cortonwood Shopping Park and the recently opened Fox Valley Retail Park are with 15 mins drive. 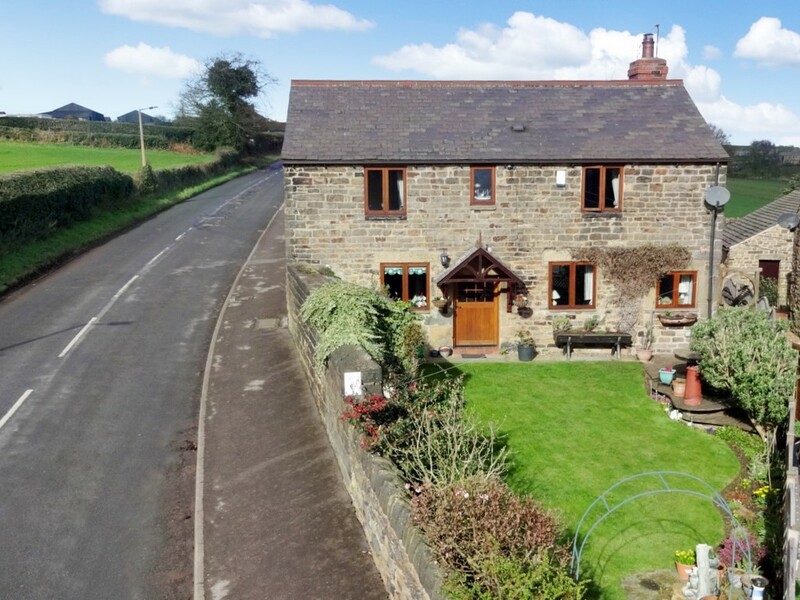 If country pubs are your thing then The Wortley Arms is well worth a visit or if Golf is your passion then there are two fine courses within a couple of miles. 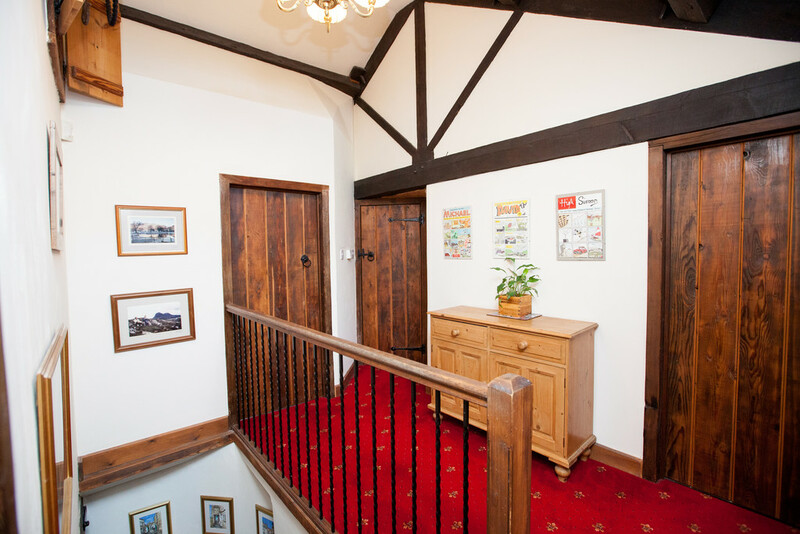 All in all Howbrook is a splendid place to live and Hollinberry Lodge is ideally situated to take advantage of this beautiful location. 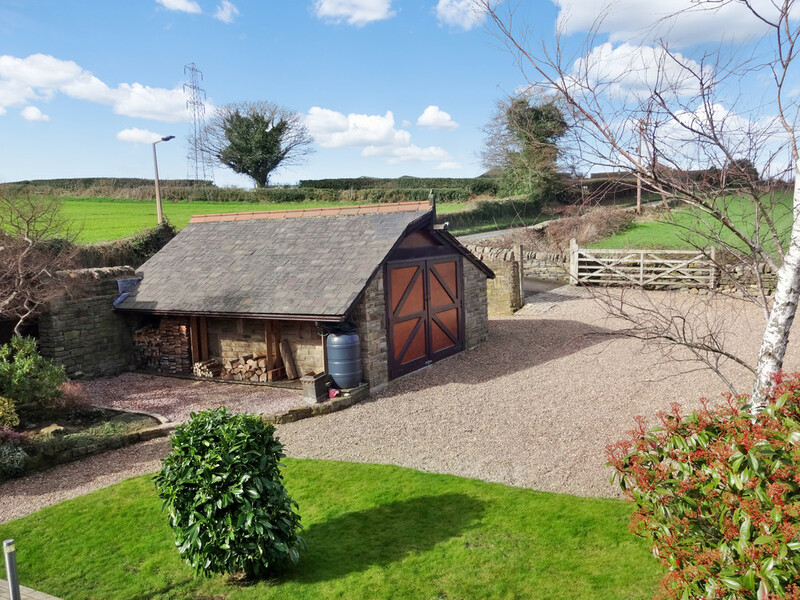 Hollinberry Lodge is approached via a broad five bar timber gate which opens up into a gravelled area designed to provide off road parking for multiple vehicles. There is also an electric charging point, suitable for motorhomes and electric vehicles. ENTRANCE HALL Having a beautiful solid oak entrance door with glazed panel, quarry tiling to the floor and a central heating radiator. CLOAKROOM W/C Being fitted with a stylish two piece suite and comprising a low flush w/c and pedestal wash hand basin. 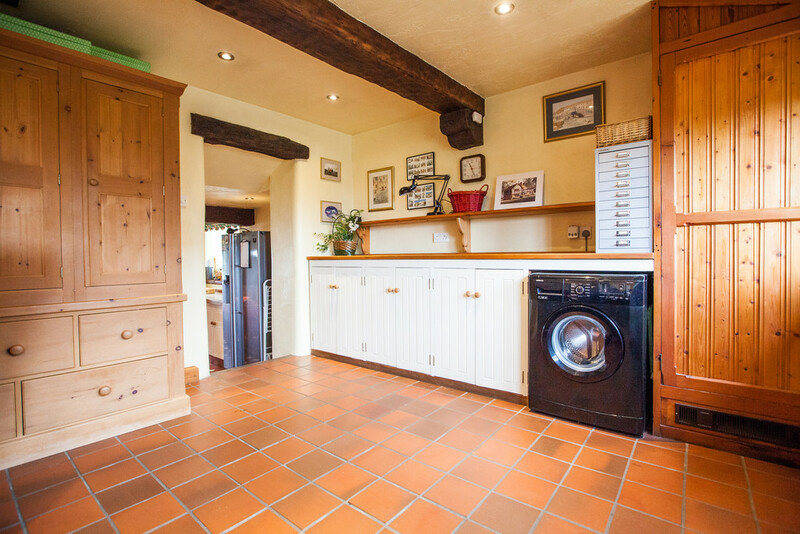 There is also quarry tiling to the floor, a central heating radiator and extractor fan. 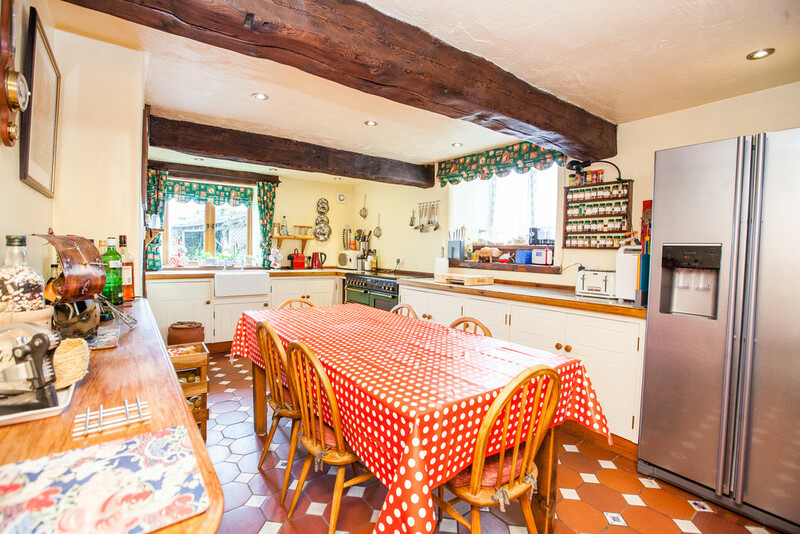 KITCHEN/BREAKFAST ROOM 17' 10" x 10' 7" (5.46m x 3.23m) On entering this pretty barn you get an instant hit of country living with its homely and welcoming kitchen. 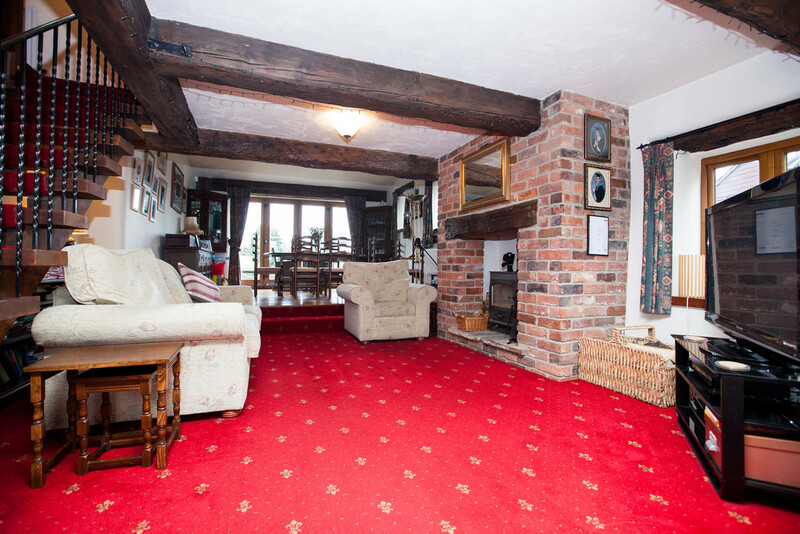 Benefiting from exposed beams and lintels as well as a stunning quarry tiled floor set in a geometric pattern. 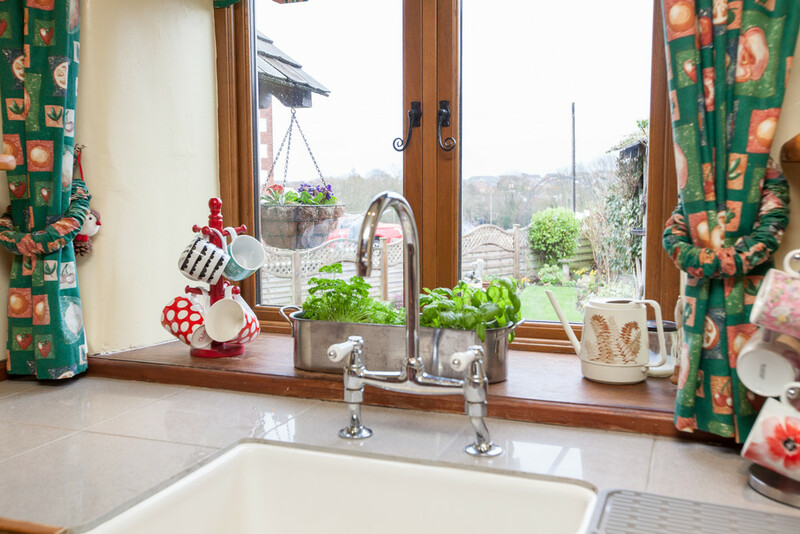 The kitchen is fitted with a comprehensive range of cream Shaker style units set below tiled and wood trimmed work surfaces, with complimentary up stands. Incorporated within is a Belfast sink with chrome mixer taps as well as a range style cooker and space for a large fridge freezer. 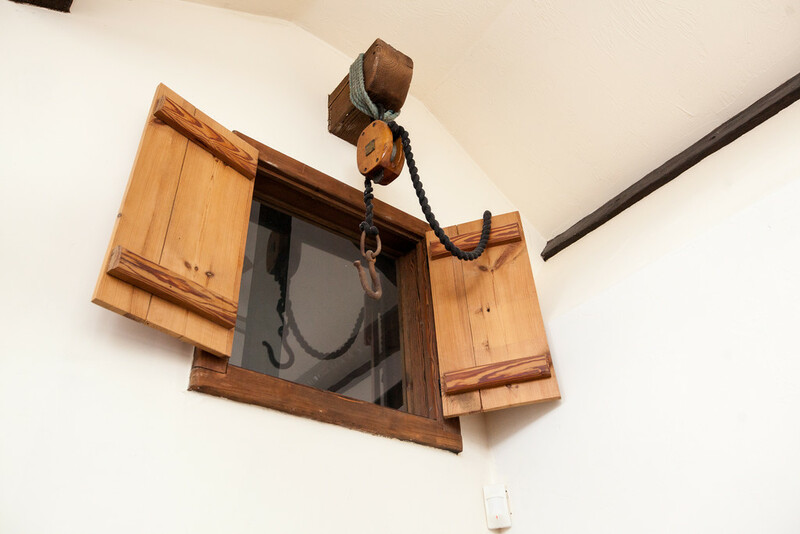 There are front and side facing deep silled, solid oak framed double glazed windows, recessed ceiling spotlights and a central heating radiator. 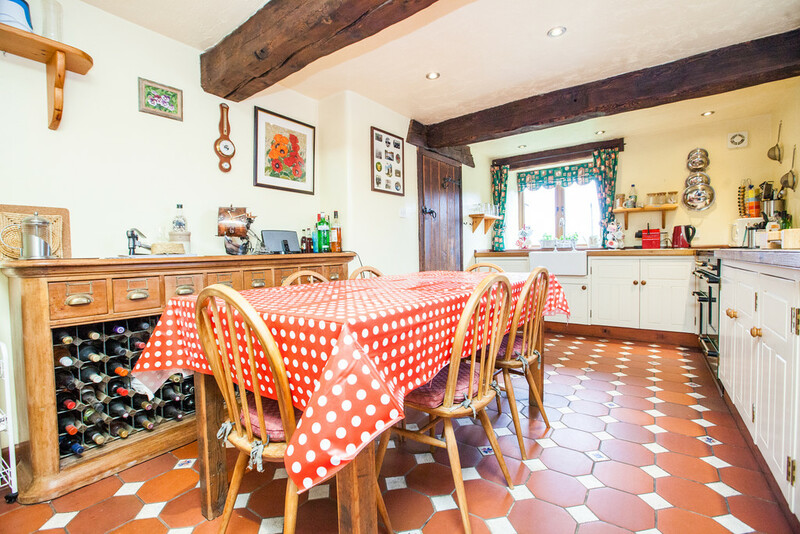 We suspect that the large farmhouse table in the middle of the room is a real magnet for the family, whether it's chatting over a hearty full English in the morning or discussing your day over a glass, or two, of wine in the evening. 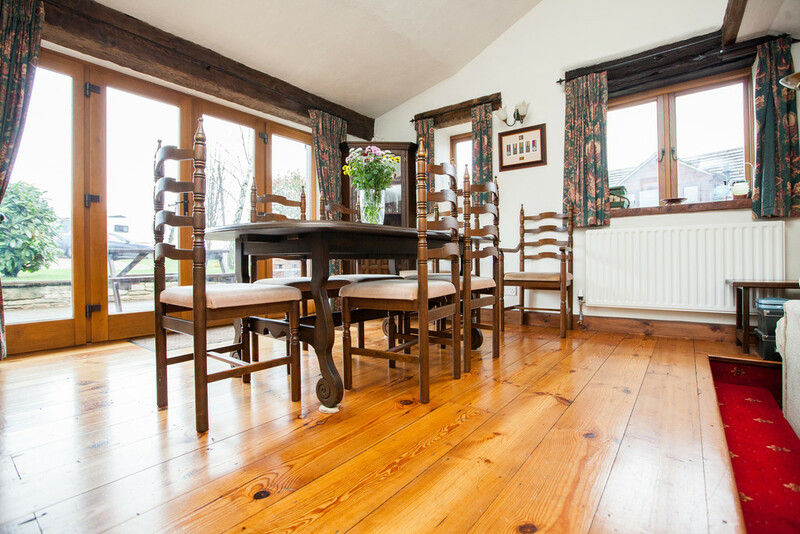 LIVING/DINING ROOM 32' 1" x 14' 4" (max) (9.79m x 4.37m max) This stunning open plan room is extremely well proportioned yet still manages to provide the cosiness that is desired in cottage living. 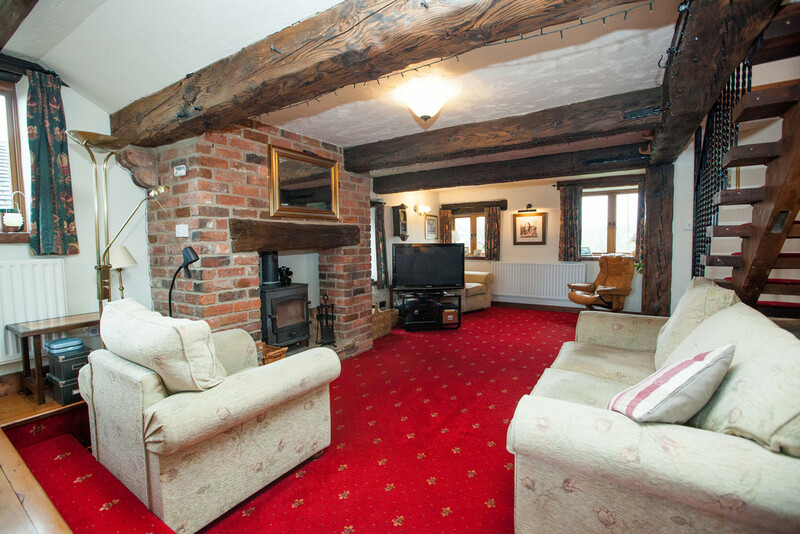 It is probably the array of period feature which provides this feeling, features such as the large exposed brick Inglenook fireplace with log burning stove, exposed ceiling beams and lintels deep silled windows, pine flooring in the dining area, charming stone and timber staircase and interesting mezzanine area with double doors. 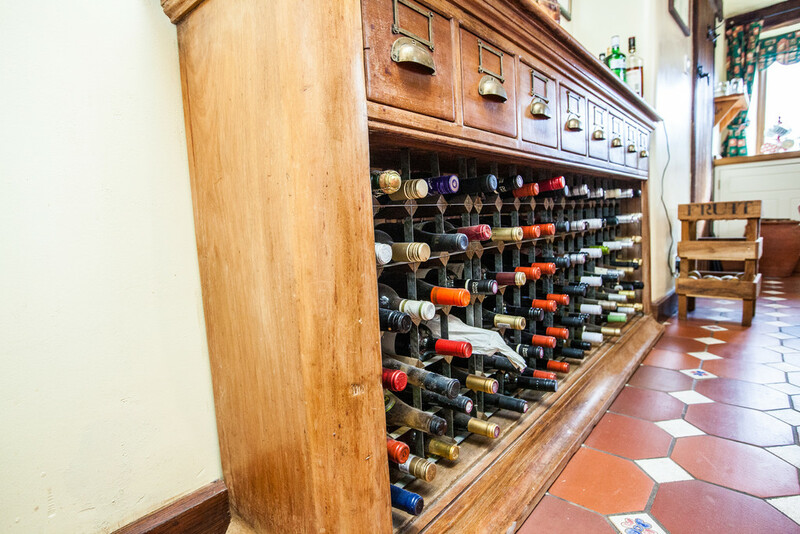 There are also two front facing and three side facing solid oak framed double glazed windows, two central heating radiators and oak framed double glazed French doors with complimentary glazed side panels which lead onto the decked entertaining area to the rear of the property. 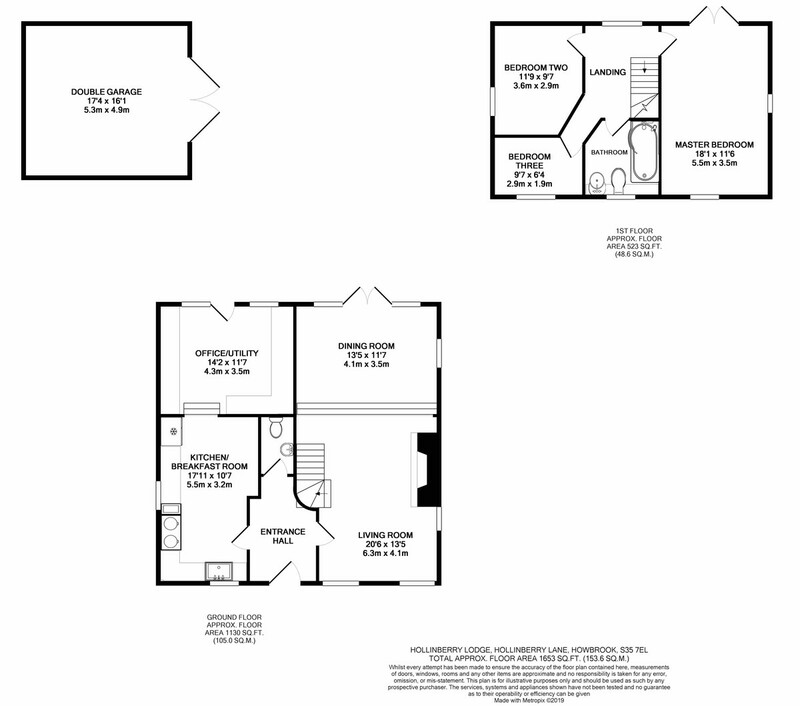 OFFICE/UTILITY 13' 10" x 11' 4" (4.23m x 3.47m) An excellent area of the house which the current vendors utilise as a home office, boot room and laundry. 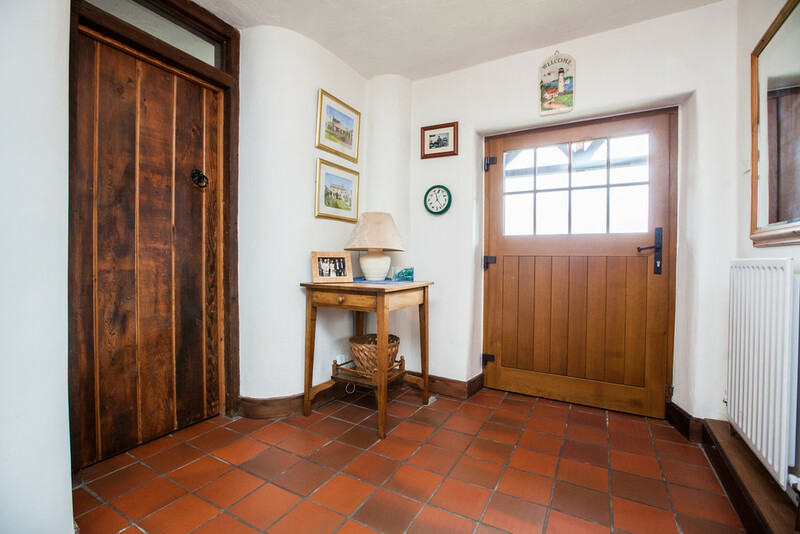 Benefiting from two rear facing solid oak framed double glazed windows and oak entrance door, quarry tiled floor and a central heating radiator. 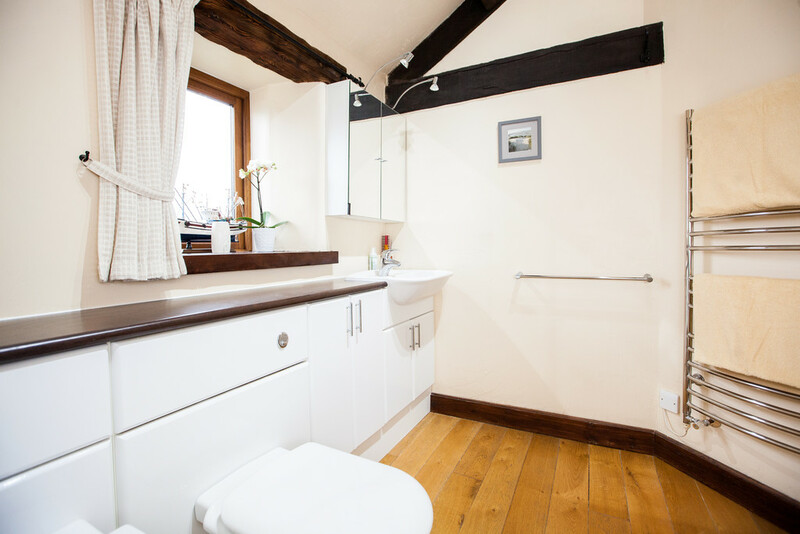 On one side of the room is a range of fitted base units below solid timber work surfaces which provides excellent storage as well as housing the washing machine and Ideal Vogue Combination boiler (installed August 2018). 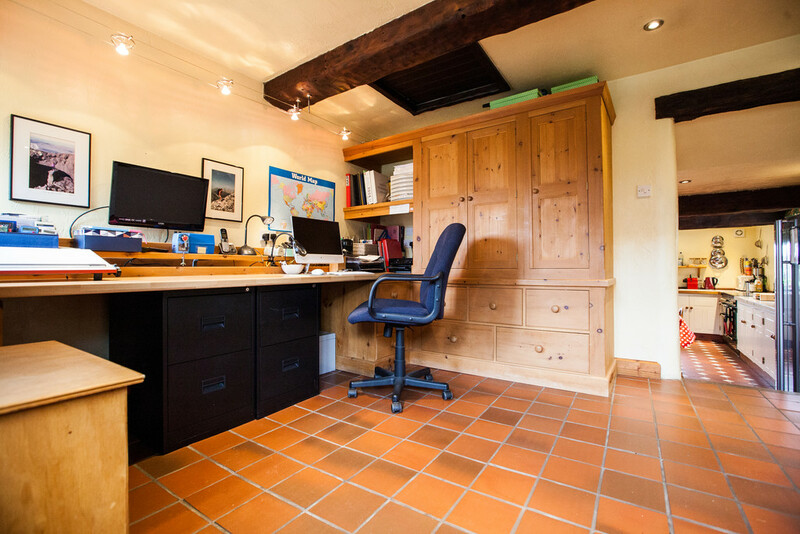 On the other side of the room is a good size fitted storage cupboard and large desk with multiple electric sockets and telephone point making this pleasant work from home space. 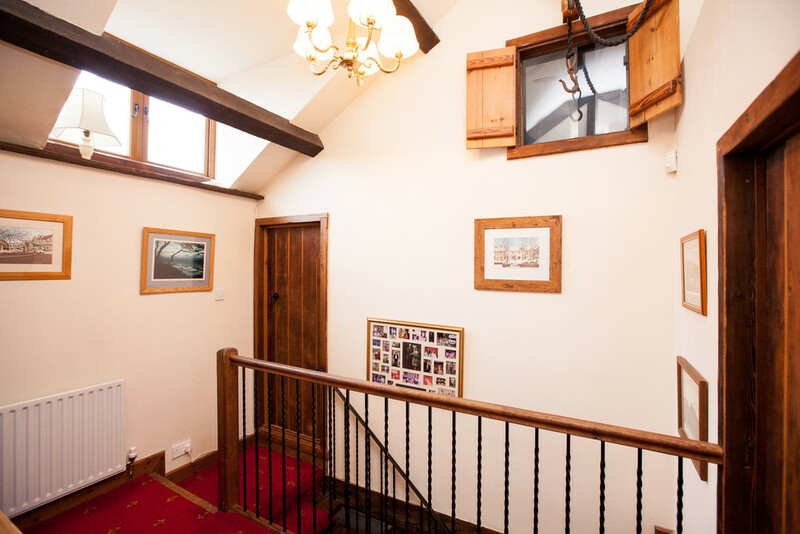 LANDING Providing access to all rooms and benefiting from wrought iron balusters with timber banister rail, high level solid oak framed double glazed window a central heating radiator and fabulous exposed timber truss and purlins. 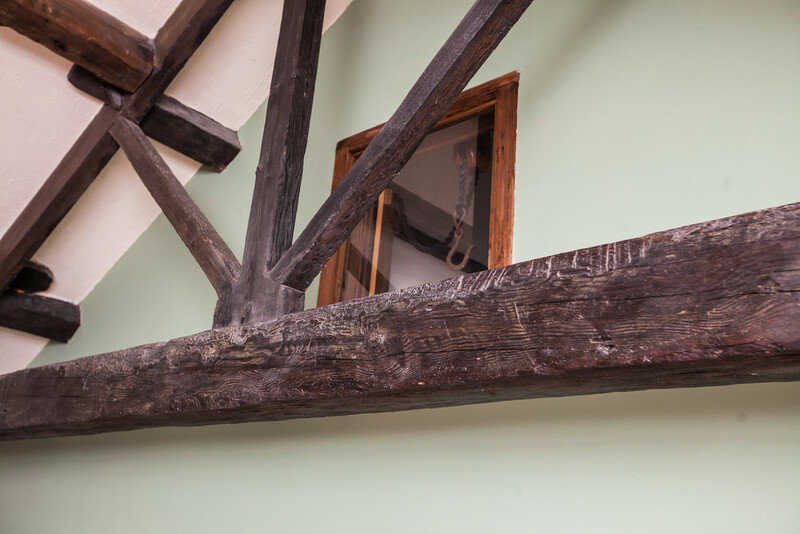 One really interesting feature to this area is the 'block and tackle' hanging from one of the timber beams, we recommend you ask the current vendor their opinion of why this is situated on the landing! BEDROOM ONE 17' 11" x 11' 8" (5.47m x 3.56m) A superbly proportioned bedroom with solid oak framed double glazed windows to the front and rear, at a high level. 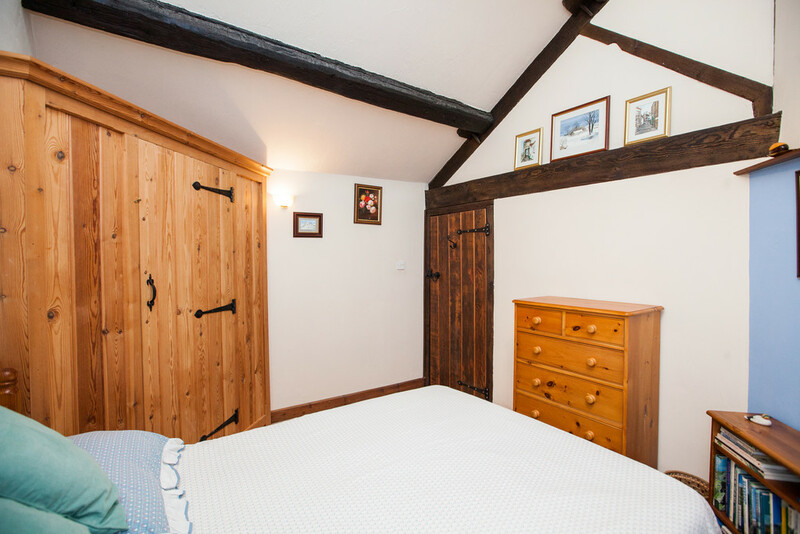 There are further exposed timber trusses, purlins and lintels, along with a central heating radiator and a range of fitted wardrobes. 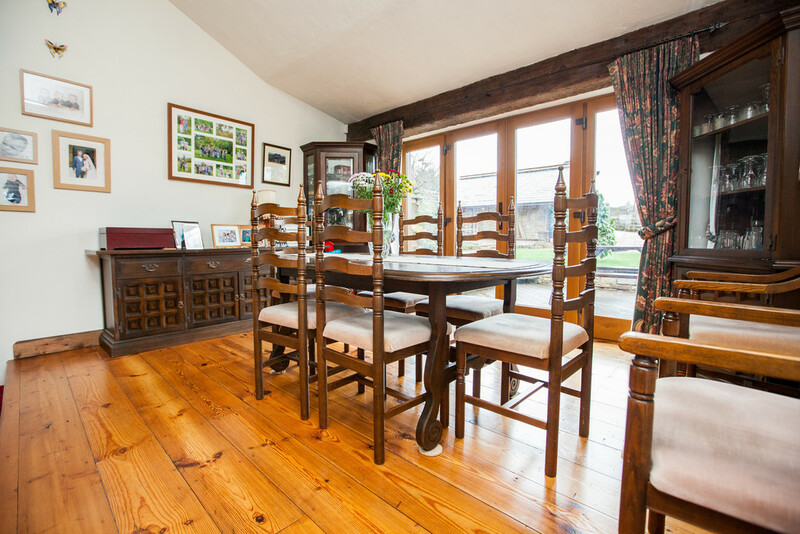 A nice feature of this room are the double doors which open and look down onto the dining area. 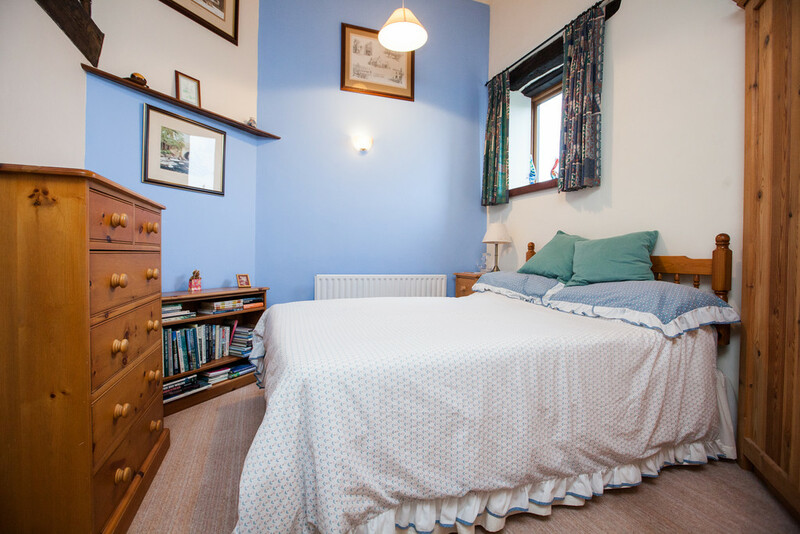 BEDROOM TWO 11' 1" x 9' 7" (3.38m x 2.93m) A charming room which benefits from a built in corner wardrobe, a central heating radiator and a side facing solid oak framed double glazed window, which provides lovely views onto open countryside. 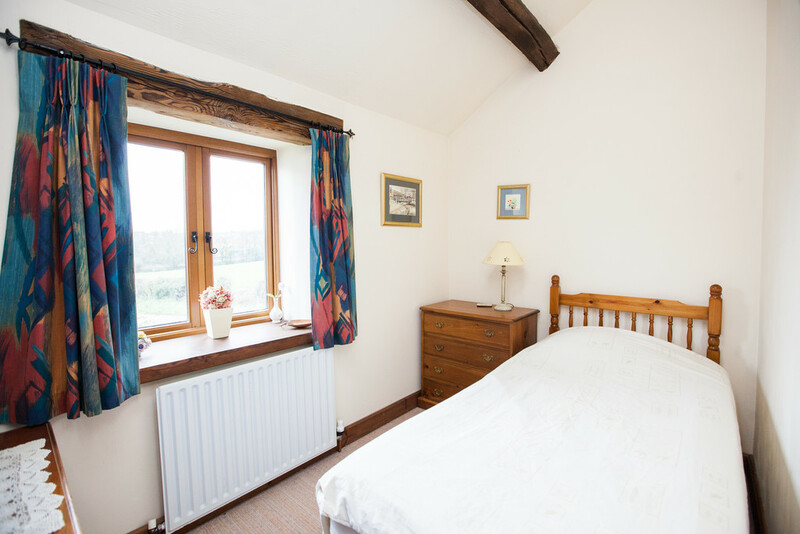 BEDROOM THREE 9' 7" x 6' 4" (2.93m x 1.94m) Being neutrally decorated and benefiting from a front facing solid oak framed double glazed window with lovely views over the garden and onto open fields beyond and a central heating radiator. 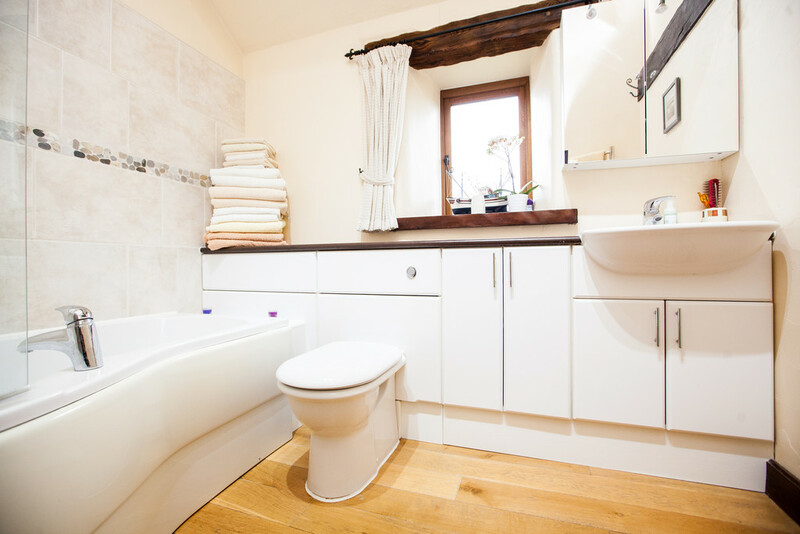 FAMILY BATHROOM This charming family bathroom is fitted with a stylish suite comprising 'P' shaped panelled bath, with thermostatic twin head shower over, low flush w/c and vanity wash hand basin with storage. 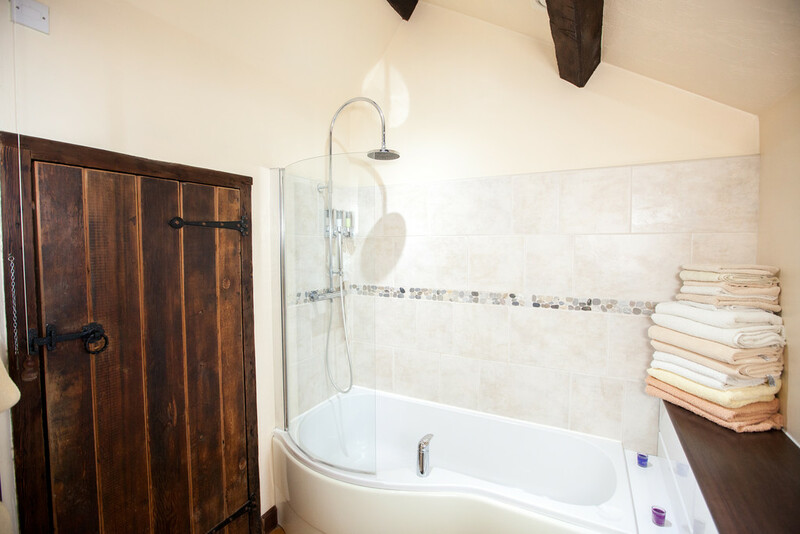 There is also stylish ceramic tiling to the walls complimenting the exposed beams and lintels, a front facing solid oak framed double glazed window and a modern heated towel radiator. 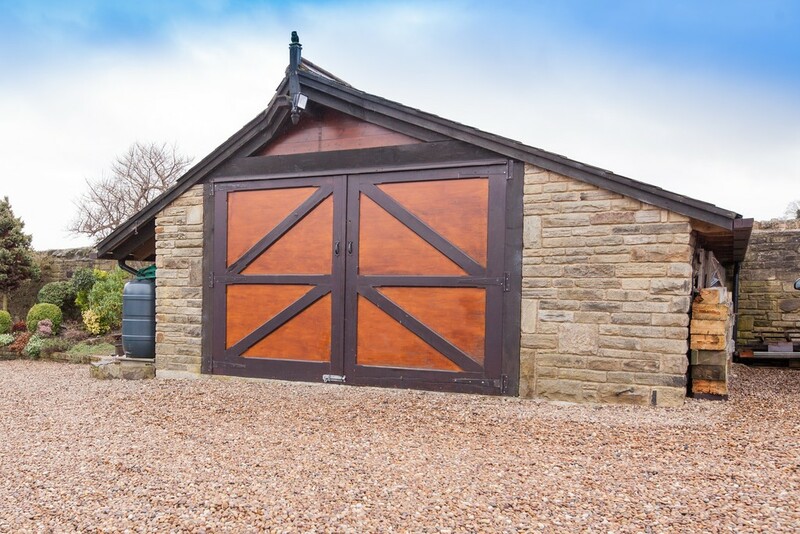 GARAGE A substantially stone built garage with twin timber doors; power, light and water. 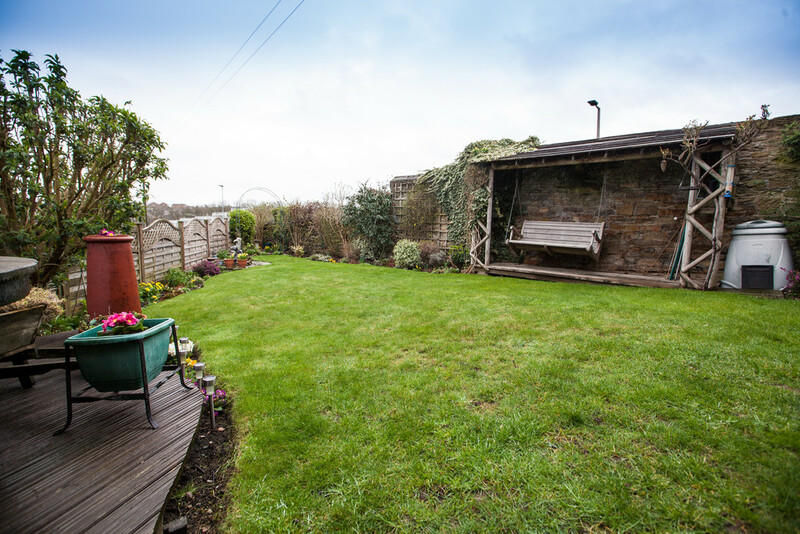 Providing excellent storage or workshop potential.